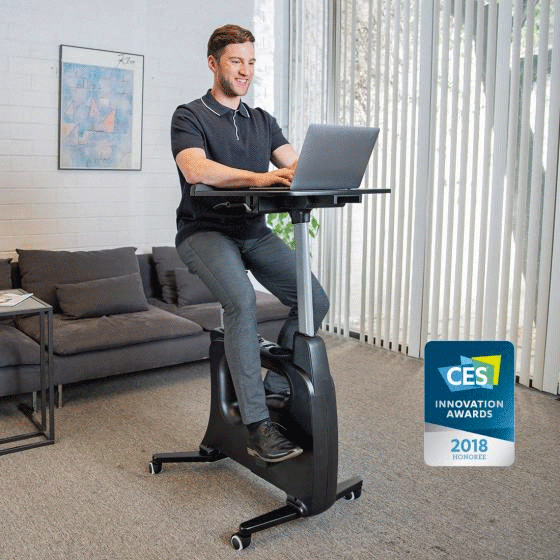 FAMILY FITNESS WITH DESKCISE PRO: The all-in-one desk that adds fitness to your daily routine by keeping you active and productive throughout the day. 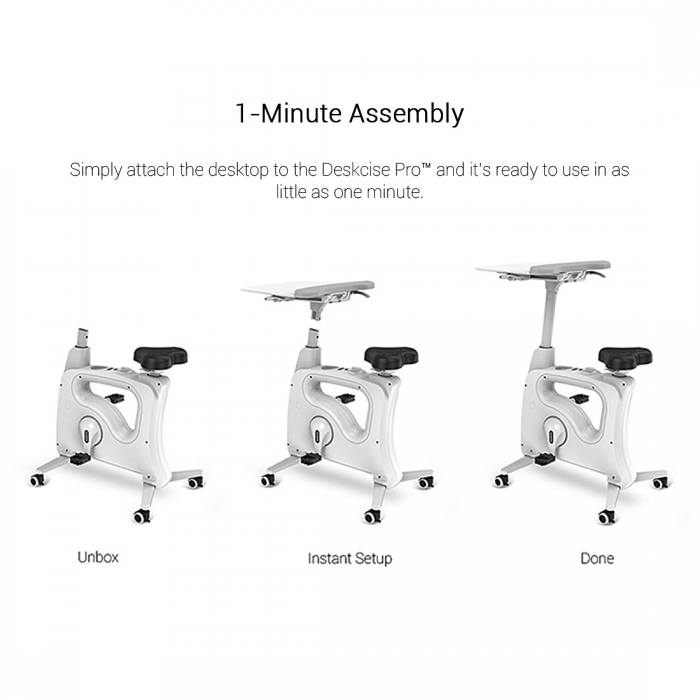 FAMILY FITNESS WITH DESKCISE PRO: Multitasking has never been this easy. 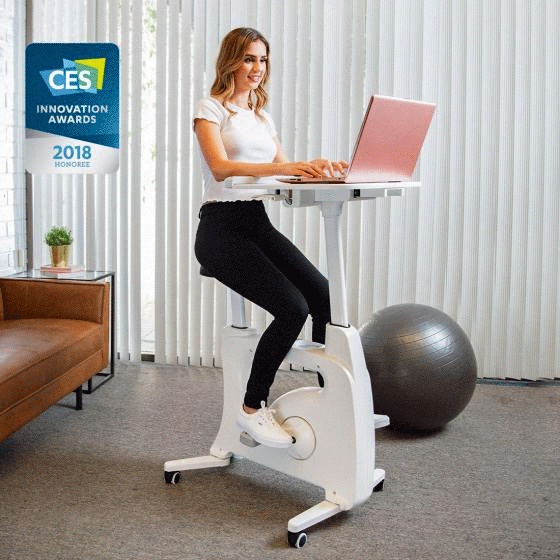 Balance work and wellness at home in any room. 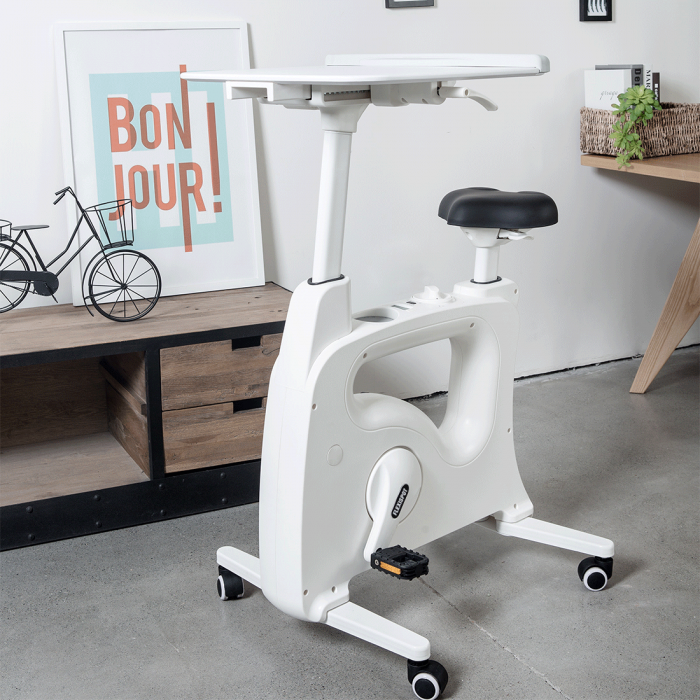 PART EXERCISE BIKE PART STANDING DESK: Adjust easily between sitting, biking and standing. 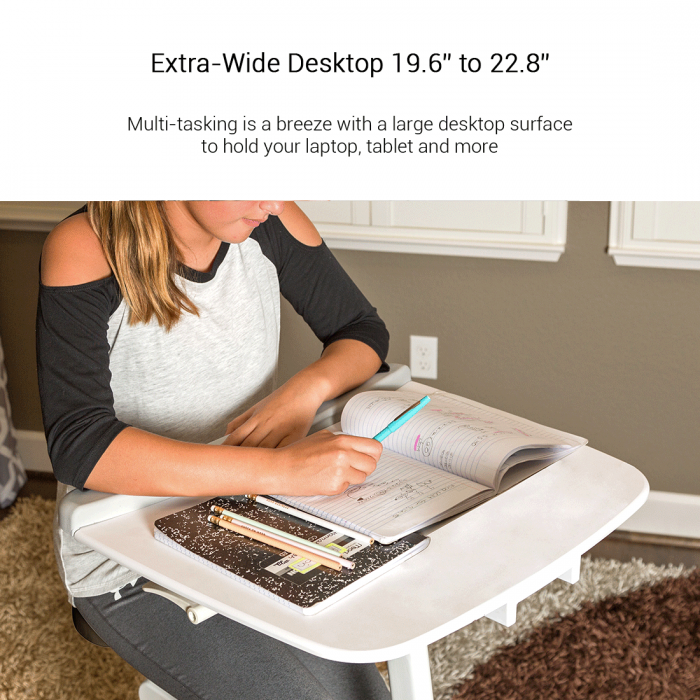 MOVEABLE, SPACIOUS DESKTOP: Easily move the desktop forward, backward, up or down to fit your comfort. The wide surface holds your books, laptop, tablet and more. 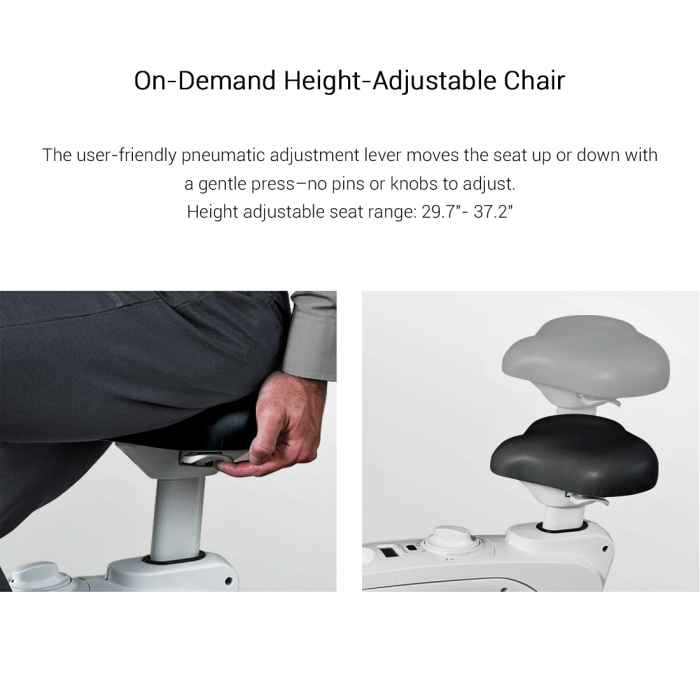 INSTANTLY ADJUSTABLE SEAT : Whether you’re 5’1” or 6’2”, you can adjust the seat with a gentle press of the lever without ever getting off the bike. 8 RESISTANCE LEVELS: Go from light activity to a more robust workout. EASY-ROLLING, GRAVITY SENSOR CASTERS: 4 durable caster wheels that swivel 360 degrees allow you to transport from room to room with ease. Wheels safely lock in place, keeping the bike from rolling while in use. Desktop size: 20" x 22.8"
Height adjustable seat range: 29.6"- 37.2"
Ideal fit for people: 5'1" to 6'2"
100% This is the most sturdy cycling machine I have ever seen. It came pre-assembled; the only things that required any type of assembly were the silicone pedal cushions and a little silicone insert for the cup holder. 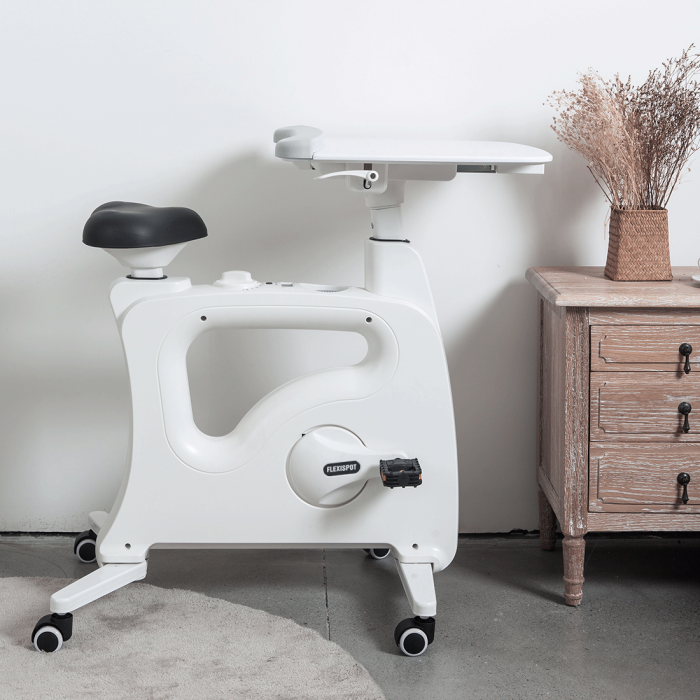 The seat is fully adjustable, comfortable, and the cycle itself is very stable and sturdy. My entire family is very pleased with it. 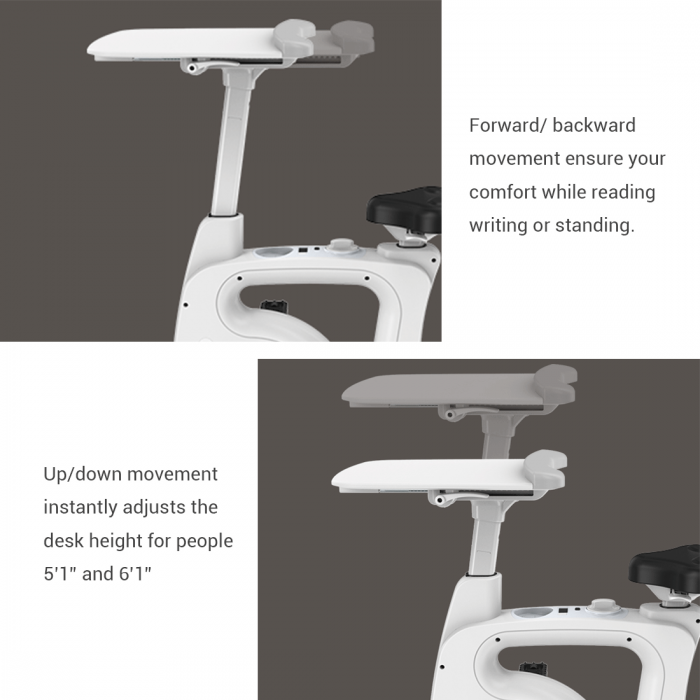 I purchased it to be a seat for a standing desk I purchased so that I can have better posture and more activity, since I work at home. 100% I love this! 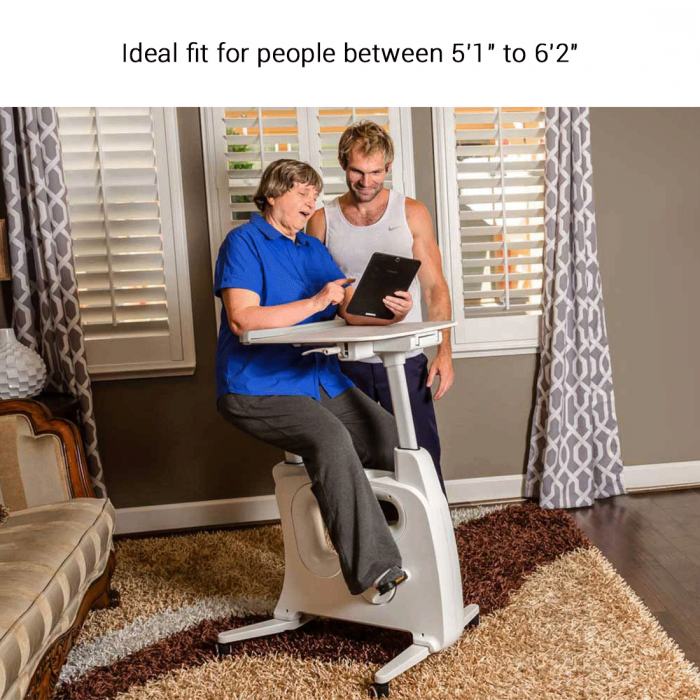 It's quiet, easy to move but stable when I'm seated, and it's a great way for me to get more movement in my day. 100% This bike is really nice. 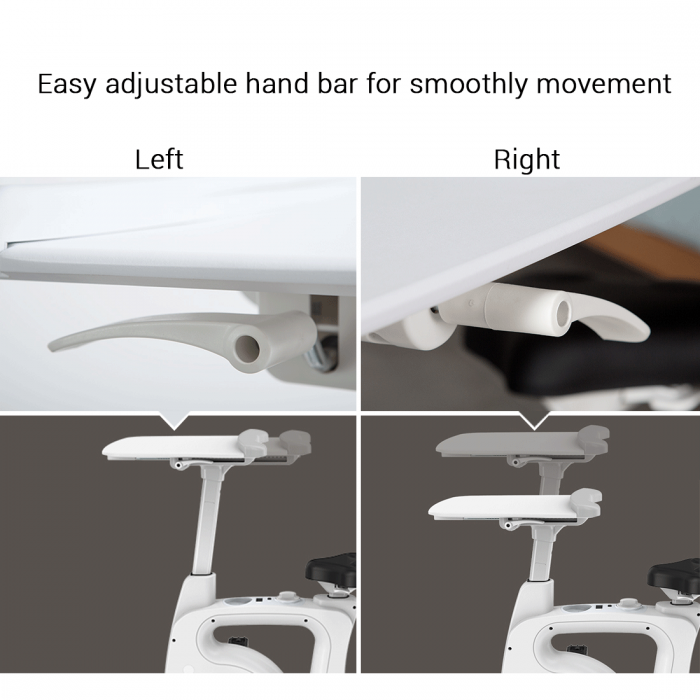 I use it at work with my height adjustable desk. 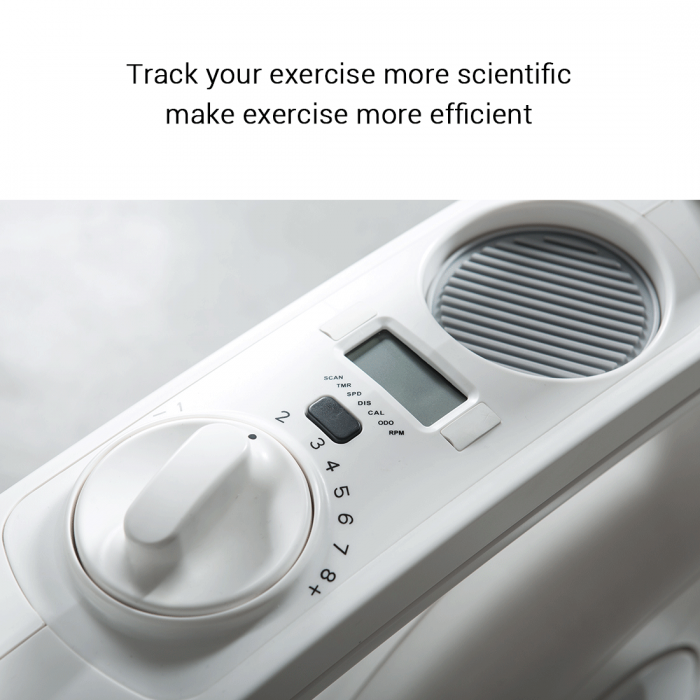 I use it to keep moving and not for any cardio benefit. 80% After seeing the product videos and reviews I bought this product in Sep. It arrived in good condition and intact , please be aware its a heavy box, do not try to lift it alone. The assembly was easy and straightforward. 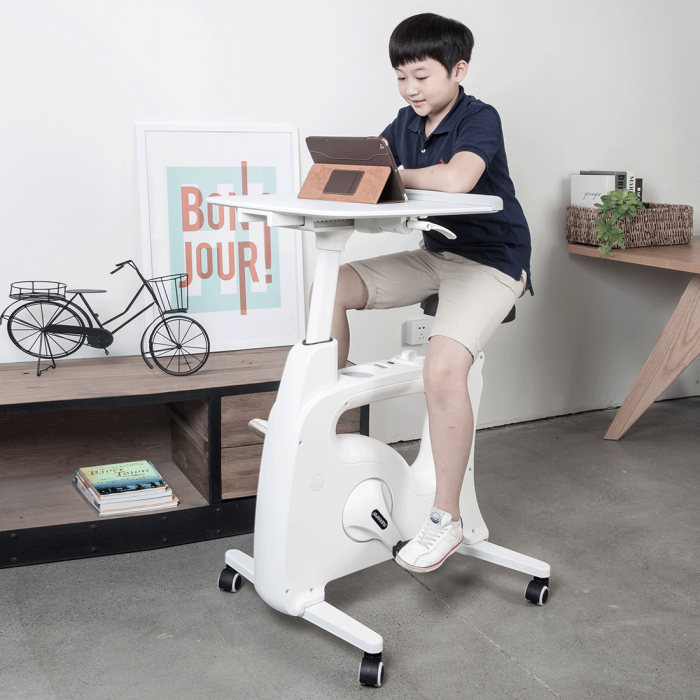 I immediately started using it, me and kids love this bike- desk. On my work from home days I can easily spend 2-4 hours on this bike at various resistances depending upon my work/ calls. My son loves this desk...and its his second go to place in house....he can easily log in 2-3 miles in the time he spents on this bike. 100% Arrived today...easy set up, height adjustable- love! 100% I am on my bike at the moment, and it is the first chance I've had to use it since my boys were on it most of the evening. It just arrived today, and really did take no more than 5 minutes to assemble (with the help of my 11 year old son). This thing feels really solid and is very quiet to use. I can watch my show at a low volume without the competition of the bike's noise. So far...we really like it! I will update if it starts to get loud, or any other problems arise, but for our needs....it is a win! I really hope that we will continue to use it often! 100% Fast shipment! Easy to put together! It's a welcome addition to my world!